I’m an IT professional married to an enthusiastic photographer and working together with professional photographers. It was in 2007 during my lunch that I was walking with a colleague from Eastern Germany. Each lunch he took his camera and GPS device with him to make photos. For me this was the start for a journey into Digital Asset Management. Some time later I bought the DAM book of Peter Krogh and read it with much pleasure. 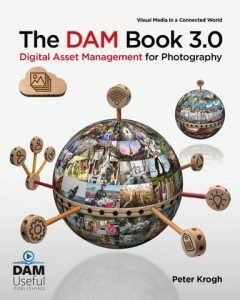 Buy at the DAM book website. Also at this time I met Geurt Besselink, one of the top nature photographers of the Netherlands. Be sure to have a look at his site and gallery! As a result of sharing ideas I created the Lightroom Assessment report. Then Geurt asked the next question: “having edited a series of photos, I want to find those photos that I did not Sharpen or I did not adjust with Clarity or…”. This was the birth of my first Lightroom plug-in: EditCheck. Soon more requests came for Geurt and other professional photographesrs. All the plug-is are sold on the Photographers Toolbox website. Being a Lightroom user from version 1.0 and IT professional I realized that Lightroom contains a goldmine of interesting information which can be very useful for trainers and photographers. So I started looking for a solution the to exploit all this information to you in an easily accessible way. One complication was that Lightroom runs both on Windows and Mac. The the analysis and reporting tool should support these platforms. I found the solution in the Open Source JasperReports library. Also all the reports are open. The results can be exported in PDF, Excel, Word and more. As described above EditCheck was my first plug-in and Timothy Armes was willing to host it on his Photographers Toolbox site. Since then other plug-ins have seen the light, almost every time because I was triggered by a question or a video on YouTube. For example the “Preset Viewer” was created when I was looking at the “All about presets” video from Matt Kloskowski. Matt was answering the question if there is a good way to see whats inside a preset. Please contact me with ideas, feedback or questions.